Our arrangements for Rock You Like A Hurricane can be seen below. 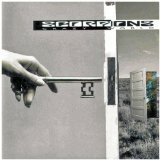 This track was performed by Scorpions, Herman Rarebell, Klaus Meine, Rudolf Schenker. We would love to hear your feedback on our arrangements. Simply log into your account, choose the song you'd like to leave some feedback on, then navigate to "Comments" and, after choosing a user name, you are ready to go. Do you want to tell the world how great this track is? Great - simply click on the share button and choose from facebook, twitter, email and other sharing options, and off you go. You don't even have to be logged into your Great Scores account to do this. We have 9 arrangements of this song available for 8 instruments.